As we were recording, the news broke that Smile is lowering the TextExpander subscription price for existing users. Unfortunately, that's not our only problem with the service. Both longtime users of TextExpander, Glenn and Susie were troubled by the news that developer Smile was changing up the business model. Glenn wrote a review that didn't score so well, since the new version didn't add much for regular users who don't need to share, removed Dropbox and iCloud sync that worked well enough, and didn't add enough security to the mandatory upload of everyone's entire snippet libraries. Not to mention the new price. As we recorded this episode, Smile announced that they were walking some of that back: The introductory lower subscription fee for existing users was extended indefinitely, and the previous versions—TextExpander 5 for Mac and TextExpander 3 for iOS—were back on sale. 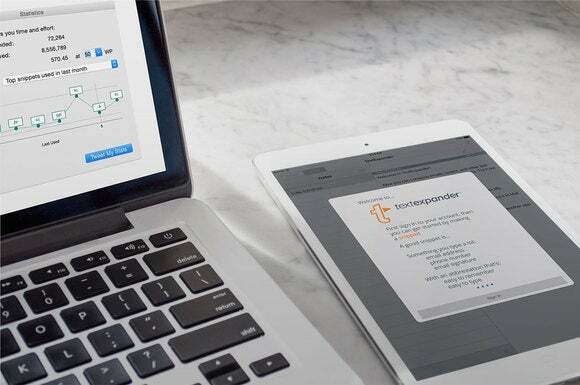 We applaud these moves and hope that they didn't come too late, and that Smile can justify TextExpander's recurring fees over time with lots of improvements and new features, like Adobe has done with Creative Cloud. Elsewhere, it seemed like a light week for news, so we talk about everything, from the latest in the FBI saga, to WhatsApp encryption, Apple Watch 2 rumors, the usefulness of 3D Touch, handwriting recognition, and iPhone SE availability.